Warning: This post has a few photos that might bother some – internal organs just after being harvested. Although I’m a vegetarian in all other respects, I do eat classic cheeses such as Parmigiano Regianno and Roquefort, all of which are made with traditional rennet. I also butcher animals on our farm to feed my family. Included in that menu is the occasional goat. Cheesemaking is a huge part of my life. I’m inquisitive nature and always wanting to learn more about all aspects of cheesemaking. One of those aspects that I had no experience with is the harvesting of a kid and production of natural rennet. Baby ruminants are truly the first cheesemakers! These cheese curds were in the abomassum of a two week old kid. class would feast on roasted, suckling kid for our final meal. I had read several accounts of how to harvest and make kid, calf, and lamb rennet. All of them varied and all of them stated that the curing time for the organ was anywhere from 6 months to a year. Hmm, why would that be, I wondered? The kid makes cheese curds immediately in its stomach, so it wouldn’t be for the sake of effectiveness. I believe now, but haven’t confirmed, that it might have to do with safety. The long pickling time might be to anticipate parasites or pathogens present in the organ. One of the students in the class told me that she had a Greek cheesemaking friend and would find out what he knew. Fortunately his recipe for kid rennet took only a few days of processing. The resulting rennet works beautifully! I have made two varieties of our cheeses using the same batch to make one wheel using the homemade rennet and the rest of the batch with what I usually use. This way they will age side by side and any flavor differences will not be due to different milk or cultures. I’m still waiting for the cheeses I’ve made with it to age, but will report back to you on the flavor comparison. One of the cheese types I made usually uses purchased traditional rennet and the other microbial. So it should be quite interesting to compare. I can’t wait! Weigh the abomasum and place in jar. Remove from the salt brine and shake off. Hang to dry in a cool room (no warmer than 70F) and dry until hard – depending on size 1-2 weeks. Weigh then cut into thin strips and place in food processor or run through a meat grinder. Slowly add 8 parts non-chlorinated water and process or use mortar to grind into a slurry or paste. Pour through a fine cloth, pressing with a spoon to extract as much liquid as possible. Lasts about six months in fridge. During storage in the fridge, the whitish portion separates quickly from the salt water. I’m gently agitating mine periodically and for sure right before using. When used at the recommended ½ tsp (2.5 ml) per gallon (4L) of milk, our milk flocculates in under 10 minutes. So likely a bit less of the mixture is needed. So far, the strength hasn’t changed, but it’s only been six weeks since it was harvested and the processing begun. 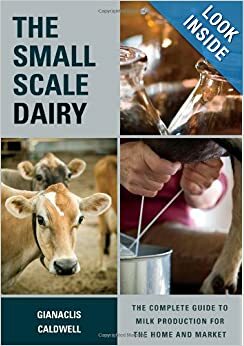 The strength could be checked before use using the steps in my book, Mastering Artisan Cheesemaking, for testing rennet (page 47) to better calculate the dosage before using. The Greek cheesemaker, who makes barrel aged feta in Greece and who now uses industrially produced kid rennet, says his cheese hasn’t been as good since he switched. 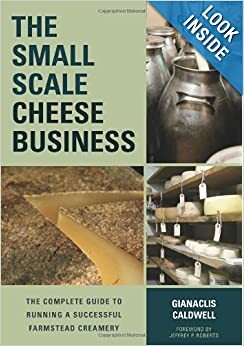 It’s a shame when concerns over food safety also remove aesthetic diversity and opportunities for cheesemakers to craft unique products. I’m actually not sure what would be involved to legally be able to use “small batch” rennet. Certainly the animal would have to be slaughtered at a USDA facility, but I imagine the process steps would also have to take place in an inspected facility with a meat processing license. Oh well, that doesn’t have to stop any of you from trying this at home! I recommend Adam Danforth’s book Butchering for an even more in depth, artisan approach to harvesting meat. It would be great if there were more classes on home butchering!